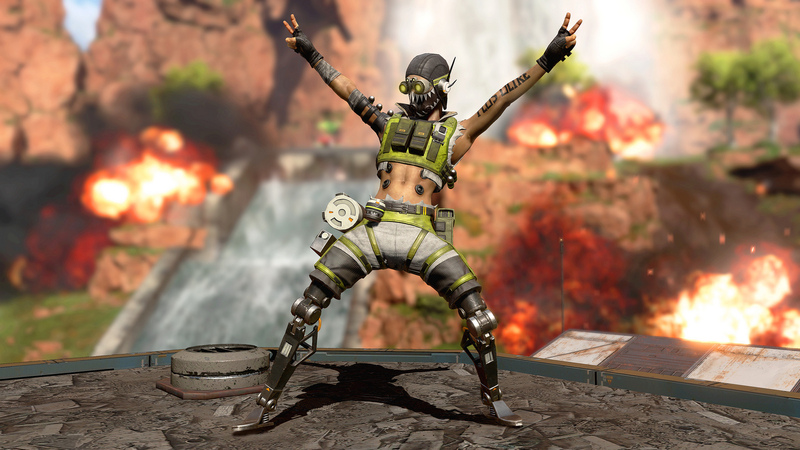 Will this situation set the precedent for future Apex Legends tournaments? Controversy hit today’s Apex Legends Code Red tournament when a game-breaking bug allowed pro Apex player Tanner “Rogue” Trebb and company to move on to the next round of the bracket over Michael “Imaqtpie” Santana, Danny “Shiphtur” Le, and Marcus “Dyrus” Hill. The bug in question occurred during one of Rogue’s games, where the Team Liquid pro was downed by an enemy player. As he crawled around, he activated his knockdown shield to protect himself. This, however, caused a bug that allowed him to use his weapon while in the downed state. He ended up taking out the enemy team and effectively saving the match for his squad. These kills and that round proved to be crucial because it allowed him to tie Imaqtpie’s squad in eliminations. Because Rogue’s team won more games than Imaqtpie’s, however, tiebreaker rules dictated that Rogue’s squad was the victor and was moving on to the next round of the tournament. Imaqtpie’s chat had something to say about this, though, leading to multiple members of his community linked the clip of the bug. As Imaqtpie’s team reviewed the clip and learned about the circumstances, they realized that this could be a game-changer in terms of who moves on in the tournament. Unfortunately for Imaqtpie’s team, there weren’t any consequences for the bug and Rogue moved forward through the tournament. Many people in the chat were confused because although this was a game-breaking bug that was the difference between moving on being eliminated, there wasn’t even a remake of the final game. It was a puzzling situation to be sure. This also sets a precedent for how Apex Legends tournaments handle bugs in the future. Does this mean that bugs are fine to use if it is accidental? Should Rogue have not fought back even though he could fire at his enemy? Ultimately, many people in Imaqtpie’s chat believed that, at the very least, a remake should have been set up. Hopefully this incident will start a bit more of a discussion to prevent situations like this from happening in the future.